Henry Williams has never been a leader. Or stood up to the bullies. Or kissed the girl of his dreams. In fact, he’s never stood out from the school crowd. Mind you, he’s only twelve years-old. And a foot shorter than his classmates. All that will change today, though. The school inspectors are visiting Chrome Junction Academy. The principal needs to get rid of the cream of the cr@p! Roller coasters! Mega-drop towers! Ghost trains! Ferris wheels! Bumper cars! No end of opportunities for fun, thrills and spills! South London’s notorious Our Lady of Sacrifice Roman Catholic school is also there. They’re Chrome Junction Academy’s natural enemy. Chrome Junction Academy’s underdog must step up… and grow a pair. He’ll have to ensure the safety of his friends. Fend off the bigger, badder kids. …and get them out of Belch Park in one piece! Let’s just start off by saying this is a first for my blog. I’ve never marked a book 18+ before (I tend to be fairly lenient and trust parents to decide what is right for their kids), but this book is like a British version of South Park in literature form. For people who like reading stories about terrible people or watching shows starring terrible people (such as The League or It’s Always Sunny In Philadelphia), this book is right up your alley. Nearly every person in this book would qualify as a sociopath or seriously demented in some way. This goes for the children, adults, and even the nuns that show up. That being said, the book is terribly funny so long as you take everything in that first paragraph into account. There is something in here to offend everyone, but at the same time there are still occasional glimmers that this really is satire and not simply a horrible person (eg, the author) trashing a bunch of kids. 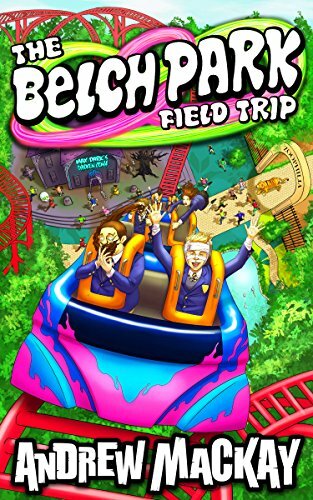 In the same way that Mortal Kombat X was uber-violent yet so hyperbolic it was unrealistic, Belch Park Field Trip is the same with crudeness of language and mean-spiritedness (and absolute apathy from any of the adults around). Much like the characters, the plot itself is also fairly hyperbolic. This is not meant to be a “realistic” or “believable” tale. Instead, it’s like an Adult Swim cartoon akin to Robot Chicken where the author clearly just wants to see how absolutely horrific he can make this story go while still holding on to the semblance of a plot. He pulls it off, though, and the fast-paced dialogue keeps the story moving fairly well, even amidst absolute absurdity. I would definitely recommend this book for people who have a thick skin and can understand that hyperbole can sometimes be a good satirical tool to show how messed up we can be to one another. The Chrome Junction kids certainly are good for that. This book is a perfect example of a book that may star pre-teen/teen characters but is not even remotely appropriate for that audience. Swearing, overt sexual conversation and even some sexual content, gory violence (and dead children). Basically, if you wouldn’t let your kid watch South Park, you shouldn’t let them read this book. For adults or mature teens, however? Yeah, fair game. But most definitely I would steer clear of this book (and presumably the rest of the series) for anyone under 18 or not capable of handling massive amounts of crudeness coming from pre-teen kids. On top of that, there are severe levels of transphobia, homophobia, fat-shaming, pedophilia, and pretty much everything else that terrible kids would say and/or do to one another. The characters are written in such an over-the-top satirical way, however, that it doesn’t feel like this book is attacking anyone… but simply demonstrating how horrible people can be to one another (even their friends). 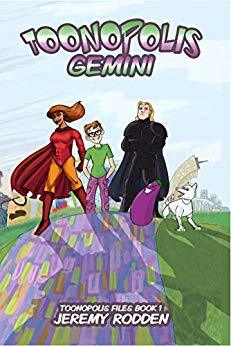 If there is any lesson to be held in this book for teens, it’s that none of these kids are being painted as role models or people to aspire to in any way (again, in a very South Park-ish way).